TMurgent uses Lulu for our publishing service. This allows you to order prints delivered directly to your door, on demand, at a very low cost. Typically, if you order a print copy today, they will print and ship your copy on the same business day. The caching of code and data is a common technique used throughout the Windows Operating System in order to improve system and application performance. 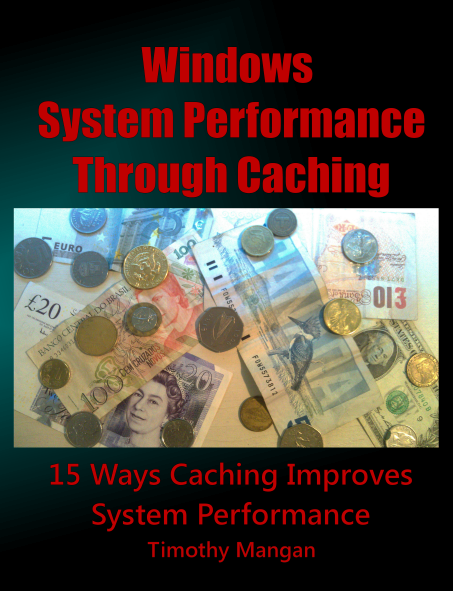 While System Performance is a difficult subject, this work represents a digestable look at performance by isolating the top fifteen or so ways that caching is used in the Windows 7 Operating System. Not only are each of the caching techniques described and detailed, but experiments are provided that the reader may use to look further into the performance of their own systems. Numeroud free tools are used for these experiments, and the appendix provides an excellent guide to using these tools. 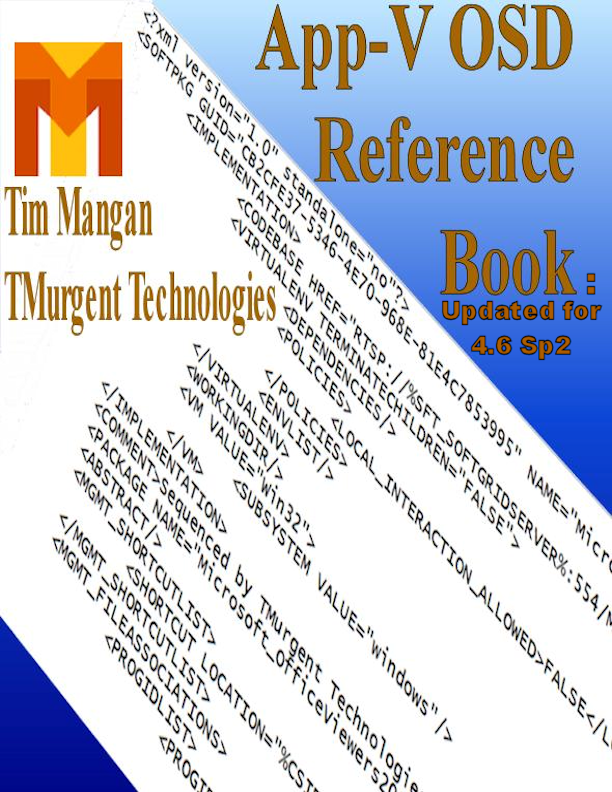 "The Client Book", which is all about the App-V 4.6* Client, has been released at last. 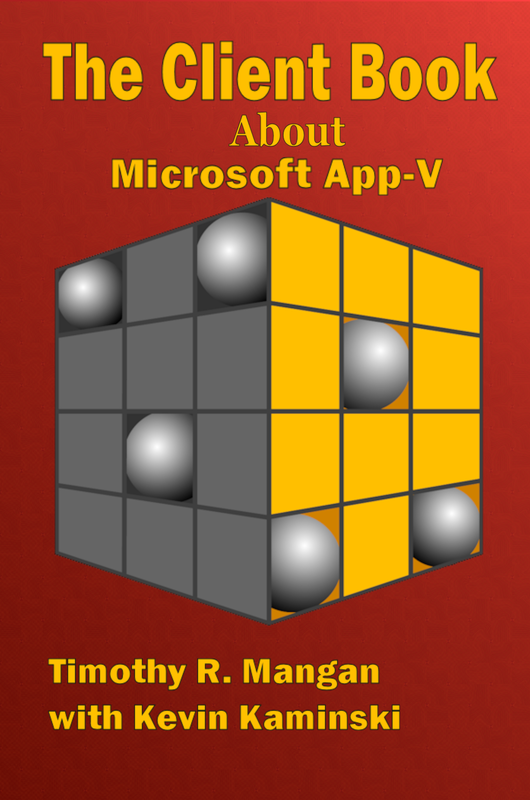 The first book written exclusively about the Microsoft Application Virtualization (App-V) product. 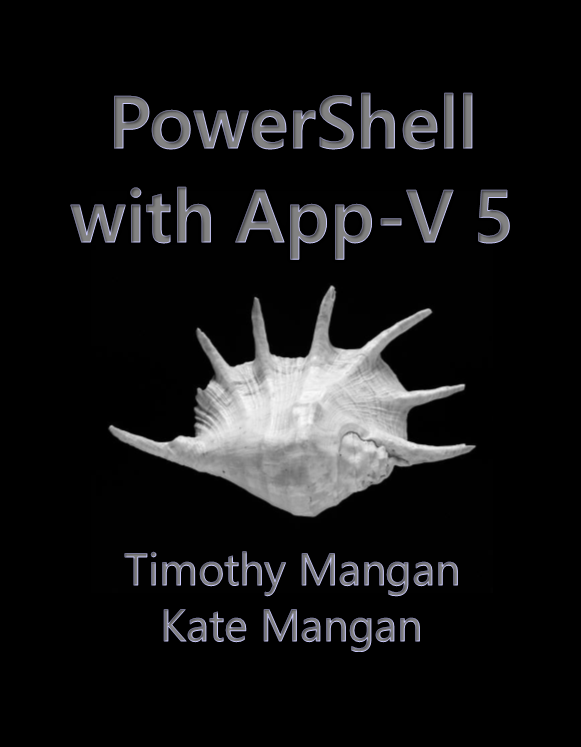 This book provides an in-depth look into the App-V Client. 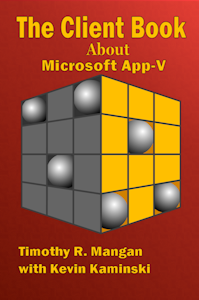 Written by Microsoft Most Valueable Professionals (MVPs) for App-V, Tim Mangan and Kevin Kaminski, this book is a culmination of years of work with the product. 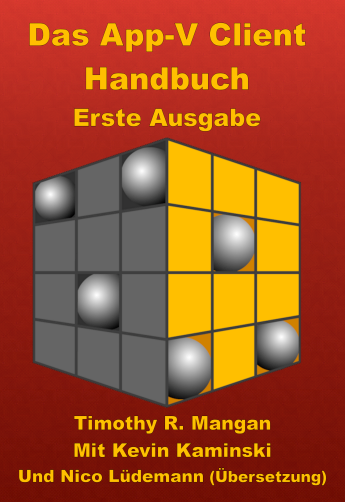 This 230+ page book represents the most complete reference to all aspects of the client. The new App-V 4.6 SP1 Sequencer uses task oriented questions and skip/customize style questions to streamline the sequencing process. This logic flow chart shows what wizard pages appear (or not) based upon those choices. A good portable reference to understand the new wizard, especially for "old hands" at sequencing that are used to alwways having their options. For a preview, including a table of contents, Click Here. We sometimes hand out this poster to people taking our Masters Level App-V Training Classes and it is quite a popular item. People often ask for extra copies, so we are making it available online. 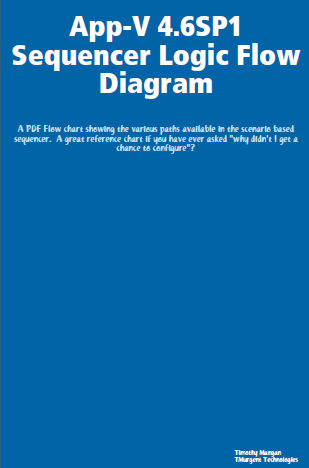 This is a hi-res PDF, and it is suitable for printing to a 22x38.5 inch poster. 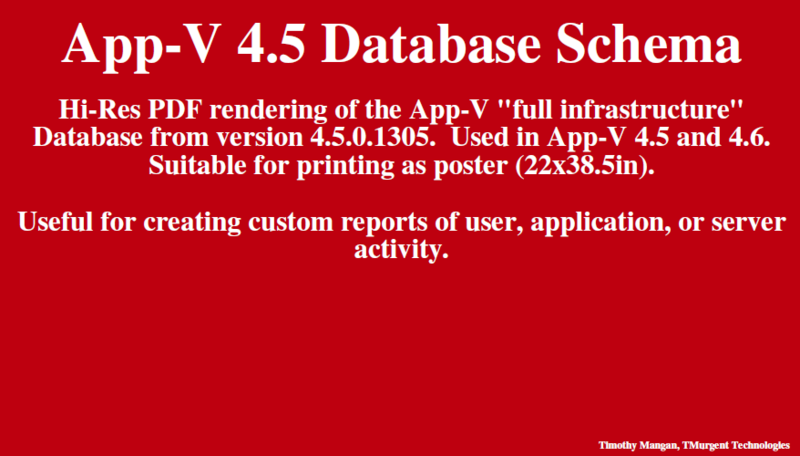 The drawing organizes the schema of the database used by the full App-V infrstructure server in a logical way. We provide this so that you can write custom reports for application, user, and server usages, and more. 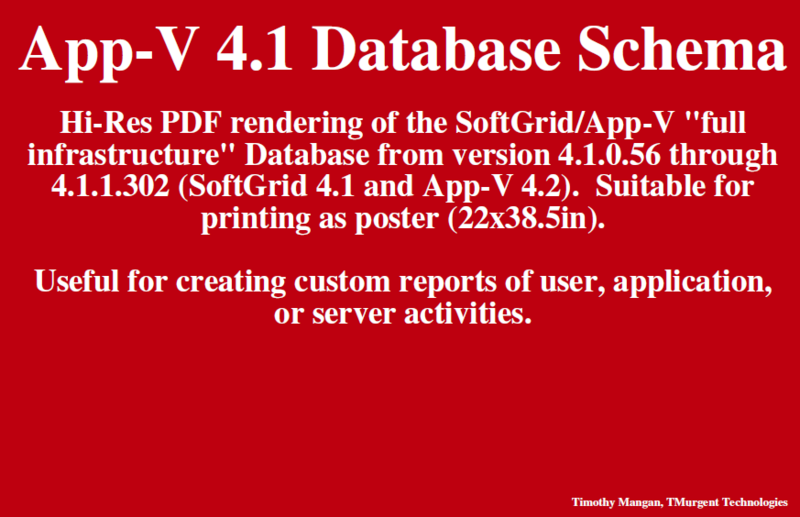 The schema drawing was created originally by us to help us develop some custom tools to manage the App-V Server. Although those tools (PimpMy) are no longer offered, we have been keeping the drawing up to date with product changes. This is an older version of the same poster, for those running 4.1 and 4.2.